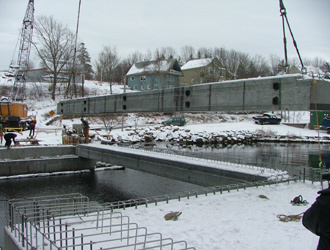 Strescon's precast prestressed box girder are excellent units for areas where you have low head room such as railway overpasses, wharf construction or structures which require a fast deck. These units can also be post-tensioned across the structure. 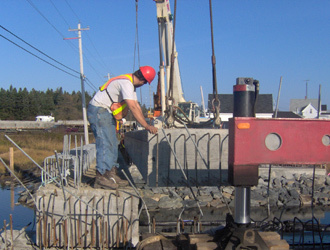 The slabs are designed to require a light topping to form a composite deck slab.